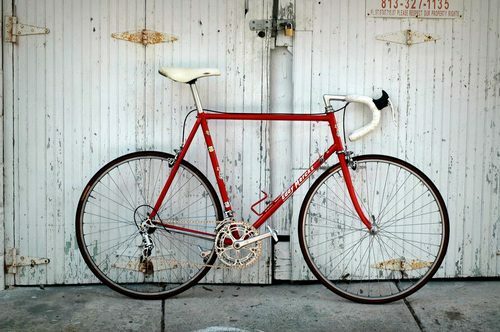 Here’s a beautiful Eddy Merckx from the late 80’s. Looks like a mix of Super and Nouvo Record. Pantographed chainring and non-fluted Super Record cranks, just like on my Corsa Extra. Great build!